With a capacity for 78,838 spectators, Maracanã in Rio de Janeiro is the biggest stadium in South America. It was officially opened in 1950 to host the FIFA World Cup. It will be one of the main venues for the 2014 World Cup and the host site for the championship match. It will also be used under the 2016 Summer Olympics and Paralympics. Maracanã is the home stadium for the two Rio teams, Fluminense and Flamengo. 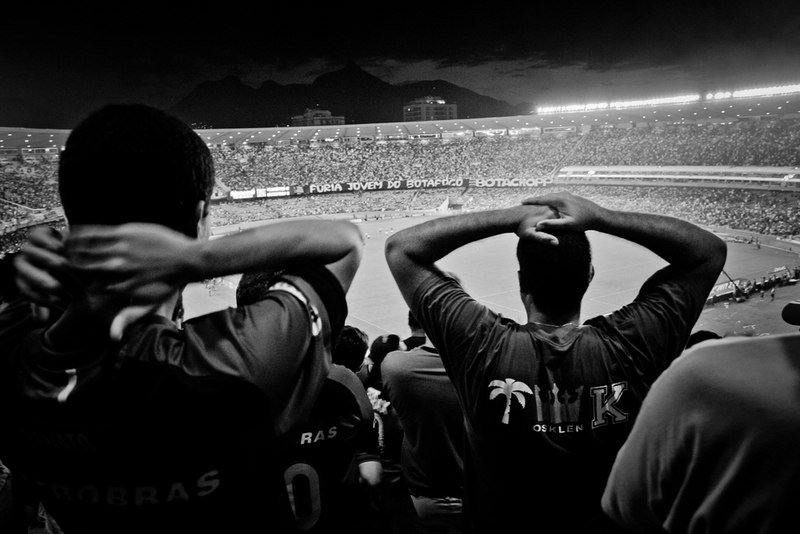 In 2007 I was there watching a local match between Flamengo and Botafoto. 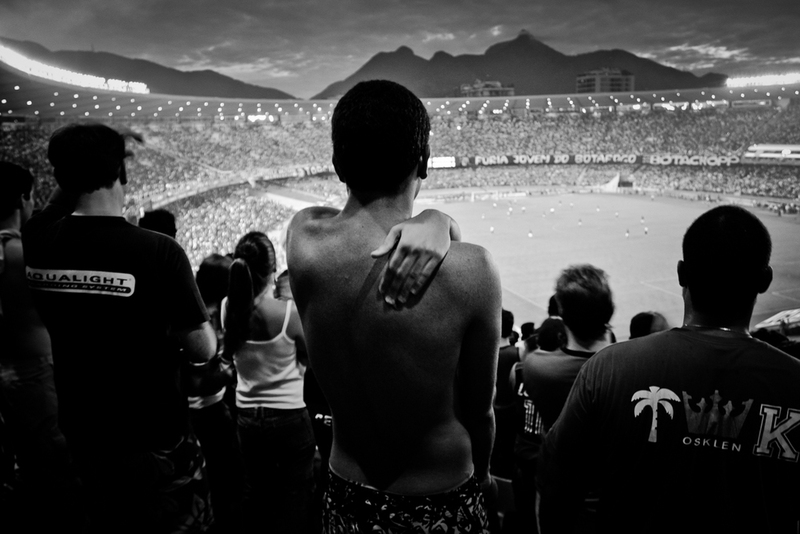 This photo essay is trying to convey some of the passion and emotions of football in Brazil. A man is selling popcorn and nuts as the stadium is beginning to fill up with spectators. Before the game starts a big banner saying "Peace", is brought to the center of the field along with banners with the colors of the two teams. Balloons and toilet paper are flying in the air as the game is about to start.